Beyond Pesticides, September 24, 2018) In a move that critics fear may be a pretext for gutting federal agricultural research, U.S. Secretary of Agriculture Sonny Perdue has proposed overhauling two federal offices overseeing food and agriculture research and moving them out of the Washington, DC area. 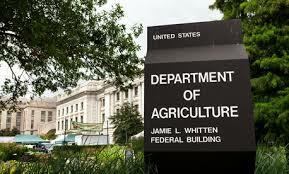 A plan announced in August to relocate one of the U.S. Department of Agriculture’s (USDA) top research office — the Economic Research Service — into the Office of the Secretary, a political branch of the U.S. Department of Agriculture, is raising alarm from scientists. Concerned researchers see the move as a way to cut funding to important projects on climate change and nutrition, among others, consistent with other Administration moves to reduce input of scientists into public policy. NIFA was established by the 2008 Farm Bill with a mission of finding innovative solutions to issues related to agriculture, the environment, and communities. Its goals include global food security, mitigating impacts of climate change, increasing agricultural production, while protecting natural resources, and combating childhood obesity by ensuring the availability of affordable, nutritious, and safe food. This entry was posted on Monday, September 24th, 2018 at 12:00 am	and is filed under Agriculture, Take Action, Uncategorized, US Department of Agriculture (USDA). You can follow any responses to this entry through the RSS 2.0 feed. You can skip to the end and leave a response. Pinging is currently not allowed.